Guangzhou Felicity Solar Technology Co., Ltd.
참고: 귀하의 문의가 Guangzhou Felicity Solar Technology Co., Ltd.로 직접 발송이 될 것입니다. Solar power system is a new kind of energy-saving and environmentally friendly system. It is a system which uses PV modules to convert sunlight into electricity. It's made up of PV module, controller, battery and inverter. It is mainly used in some remote and power-unstable areas. Solar PV systems are very reliable and clean source of electricity that can suit a wide range of applications such as residence, industry, agriculture, livestock, etc. Solar power system is mainly used to drive all kinds of household electrical appliances and office equipment, to solve the power shortage situation without electricity or people living or working electricity problem. 2. All systems have AC and DC output, and also have AC charger function for backup. 3. When the electricity off, it can switch automatically and take use of battery power to run load. When power on it also can switch automatically and take use of main power(utility electric/generator electric), at the same time charging battery. 4. The inverter is pure sine wave inverter, it can load inductive load such as air condition very smooth. 6. 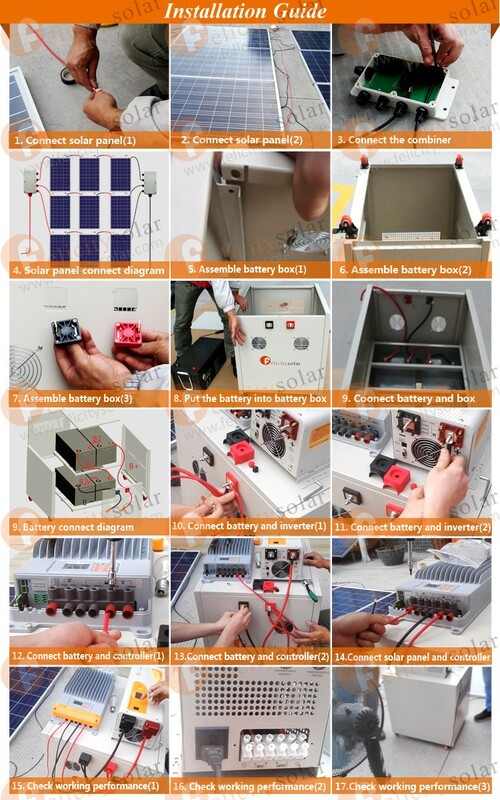 Battery for option, there are many kinds of battery you can use in the system, not only using our battery. 7. 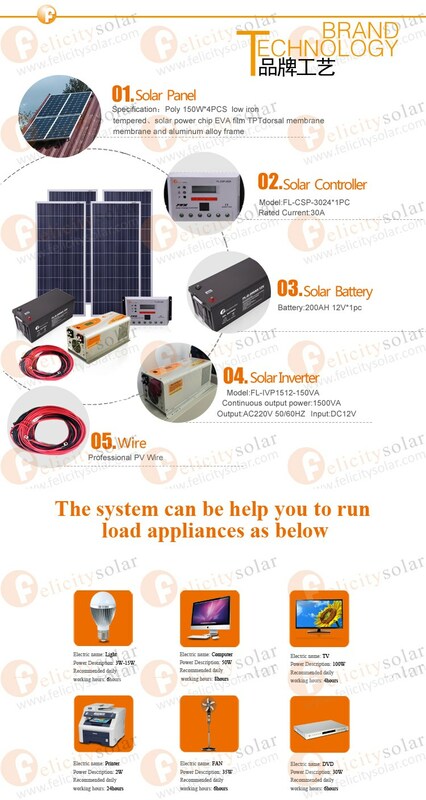 Felicitysolar solar power system can update configuration easily, we will provide a professional advice for you according to your inquiry. 8. 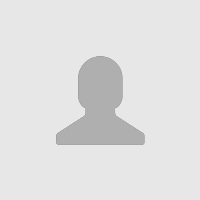 Easy installation, we will provide the install files and data to you. 9. Competitive price with high quality solar power system, professional technology, and more function than other company. 10. Safe and beautiful, our engineer designed the system with professional technology. 11. Long lifespan, trouble-free and no maintenance because of the system components high quality. We have many certification, such as CE, SONCAP, ISO, etc. We have did many solar power system projects in the past year. In Africa, South East Asia, Mid East, South America... you can see our solar power system in many place. We have got a lots of experiences to build a solar power system project. Our company found in 2007 and start doing solar business for a long time. We have exported our products to many countries, such as Africa, Mid East, Asia, America, etc. We have cooperated with many accessory suppliers for many years, so we can get cheaper and high quality accessories and thus we can give you a low price and high quality products. We have partnership with excellent shipping forwarders, therefore we can promise fast delivery and have the goods well protected. We will respond your question as soon as possible! 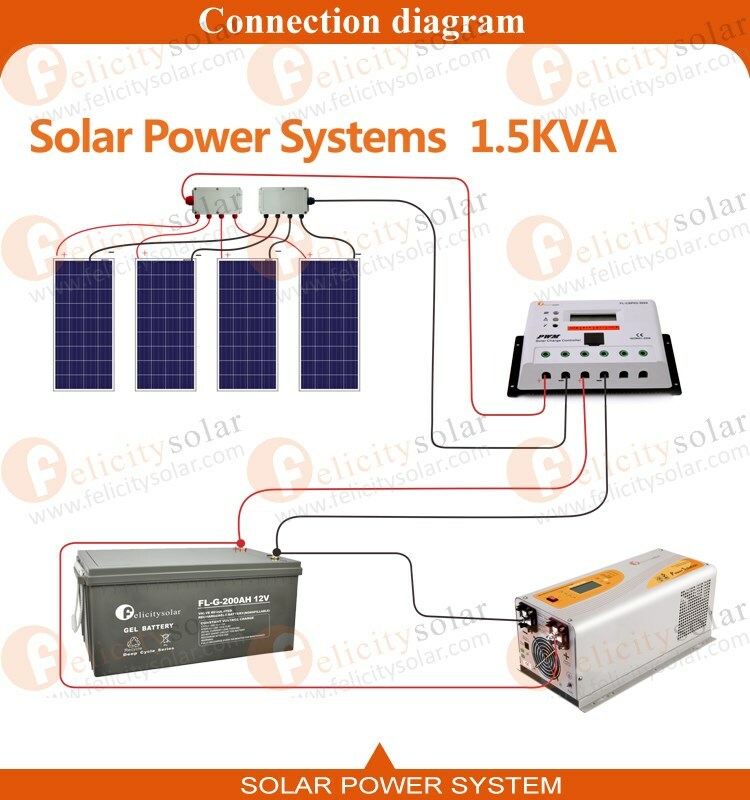 Felicitysolar was found in 2007 possessed deep pockets and the professional ability of technology and had formed many modern solar panel production lines, LED street light production lines and the testing systems for solar power and lighting. We cooperate with the partners from Australia、Turkey、Singapore、Serbia、Nigeria, etc. And our products have covered more than 50 countries and markets.